Datto is an innovative provider of comprehensive backup, recovery and business continuity solutions used by thousands of managed service providers worldwide. Datto’s 200+ PB purpose-built cloud and family of software and hardware devices provide Total Data Protection everywhere business data lives. Whether your data is on-prem in a physical or virtual server, or in the cloud via SaaS applications, only Datto offers end-to-end recoverability and single-vendor accountability. 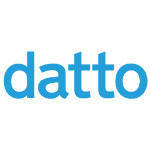 Datto’s innovative technologies include Instant Virtualisation, Screenshot Backup Verification™, Inverse Chain Technology™, Backup Insights™, and end-to-end encryption. All Datto solutions are supported by 24/7/365 in-house technical support and selected products offer time-based cloud data retention, for predictable billing and budget management.